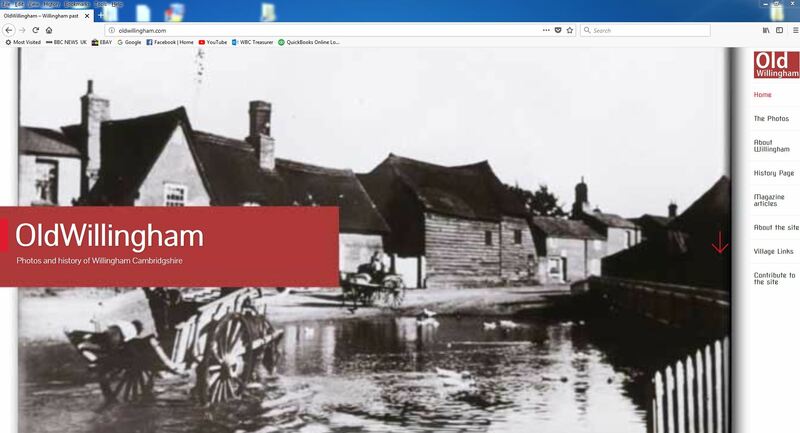 The OldWillingham.com photo website opened in 2004 and, while new photos have been added thanks to contributions from current and past village residents, the main site never had a face lift in those 13 years. So we are pleased to announce a complete refresh of the site, the home page of which is shown here. All the photos and comments are retained and the user interface for the photos is the same but the main site is better organised and the history articles much more accessible. Check out the school magazine from 1939 – it is a delight. A new feature is that all the pictures that appear monthly in this magazine are available with the commentary. These photos are full resolution so if you want to see the published photo in more detail this will be available a few weeks after publication.